Uber just can't catch a break in China. Its formidable homegrown rival Didi Chuxing entered the market far earlier and just got a $1 billion shot in the arm from Apple. 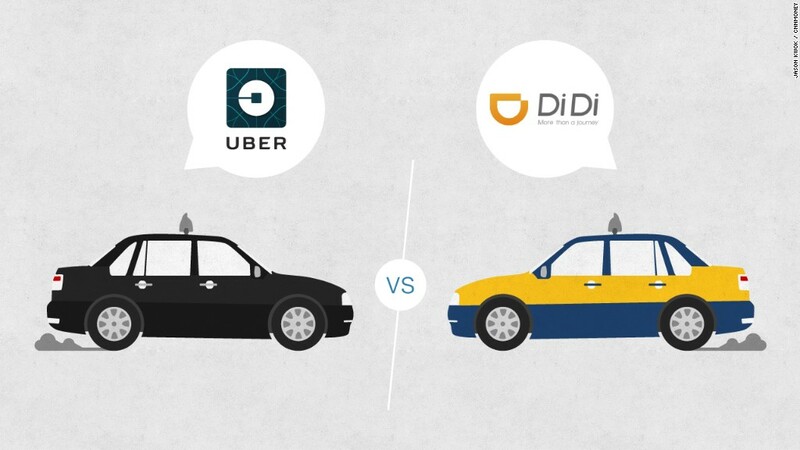 Didi is the result of a marriage between two Chinese companies that were previously battling each other for taxi-app supremacy: Didi Dache and Kuaidi Dache. The pair joined forces within a year of Uber's entry into China in 2014. The move combined customer bases and pooled investment dollars from backers of the merged firms, including tech heavyweights like Tencent (TCEHY) and Alibaba. Didi now claims 300 million users and 14 million registered drivers across 400 Chinese cities. The startup says it dominates the private car and taxi-hailing markets, with 1.43 billion rides completed on its platform last year. At Didi: The company was born out of frustration: Cheng was often missing flights and getting delayed because he had trouble finding available cabs. Since founding Didi Dache, he's masterminded the merger with Kuaidi Dache and expanded the business into new areas -- customers can book buses or even take high-end cars out for a test drive. Before Didi: He spent eight years with Alibaba in a variety of roles. That included vice president for Alipay, a job that made him the firm's youngest general manager. Show me the money: Didi had so many interested investors that Cheng actually turned down some big names, including Goldman Sachs. But he later hired one of the people at Goldman who had approached Didi to invest in the firm: Jean Liu. Didi's future: "He has a fairly long term view about this business ... he is a visionary," said Jixun Foo, managing partner at GGV Capital, a venture capital firm that invested in Didi before the merger. One thing Cheng is mulling is how to use data to make transportation more efficient for drivers and passengers alike, Foo said. Education: Beijing University of Chemical Technology. 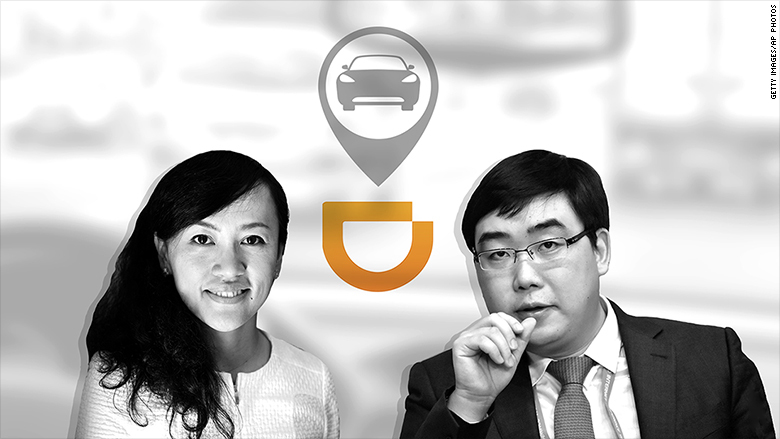 At Didi: Liu joined Didi Dache in August 2014 as chief operating officer. She was named president in early 2015, shortly before the tie-up with Kuaidi Dache was announced. Before Didi: She clocked up 12 years at Goldman Sachs, including time as managing director. She has served on the boards of a bunch of companies in different sectors, including fashion, health care and farming. Surprise! She will be one of the official torch carriers representing China this year at the Summer Olympics in Rio de Janeiro. Tech royalty: She's the daughter of Liu Chuanzhi, founder of personal computer maker Lenovo. She also has three kids of her own. Dynamic duo: "She has been a fantastic addition to the team," Foo said. "She came with a background in banking and operation, and brings with her a different set of skills." Education: B.A., Peking University; M.S., Harvard University, both in computer science.